I love great food in books–I love to read it and I love to write it–and I love cooking out of books. 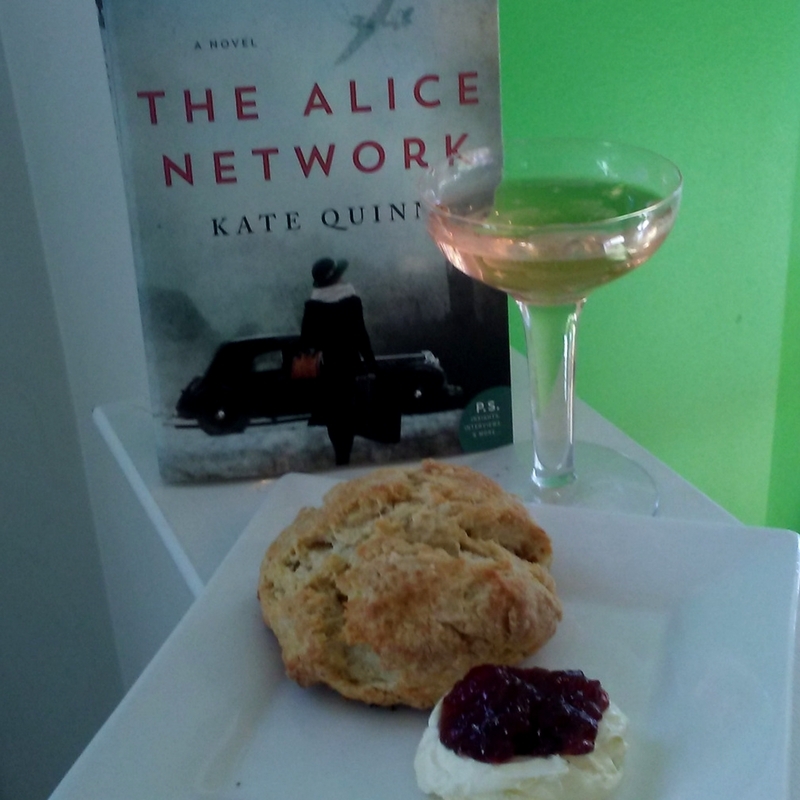 There’s plenty of delicious food in The Alice Network, considering that my characters embark on a road trip across the French countryside in 1947, but when I decided to cook something out of my own pages, it was the biscuits and rose jam from the Epilogue which positively begged to be made. And they came out DELICIOUS, warm and crumbly and rose-fragrant, beautifully paired with a glass of Provençal rosé. 1. Mix 4 cups flour, 1/4 cup sugar, 2 tsp baking powder, 1 tsp salt, and 1/2 tsp baking soda in a mixing bowl. 2. Cube two sticks of cold butter and add to the dry mixture. Cut in until mixture is crumbly. 3. Add 1 cup buttermilk and 2 eggs; mix together with fork till moistened. 4. Turn dough out on floured surface, knead 5-6 times till it’s a big scraggy lump. It will be messy, but only knead enough to pull the dough together; the less you handle it, the more tender the biscuits will be. 6. Bake at 375 till golden. (Baking ime will depend on how big you like your drop biscuits.) Serve warm. Clotted cream can be found at stores like Wegman’s or Trader Joe’s. Rose jam can be ordered online, and it’s delicious–like eating perfume in solid form. A glass of rosé goes beautifully; just get a dry vintage rather than the sickly sweet stuff you might associate with pink wine. 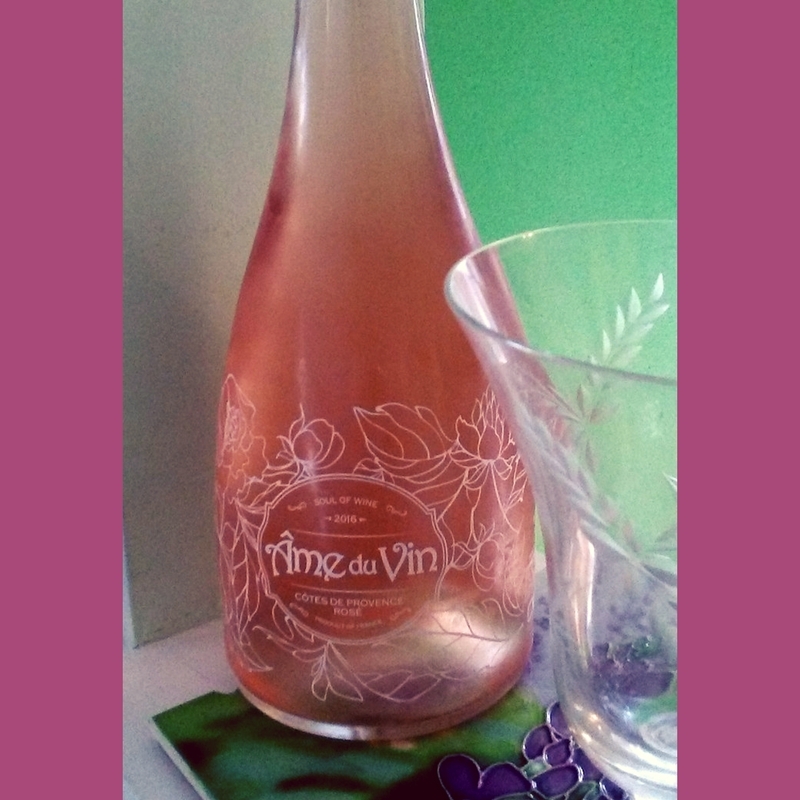 I picked this nice inexpensive French bottle frankly because it’s called “L’âme du Vin” which means “Soul of Wine” and comes from a Baudelaire poem of the same name. 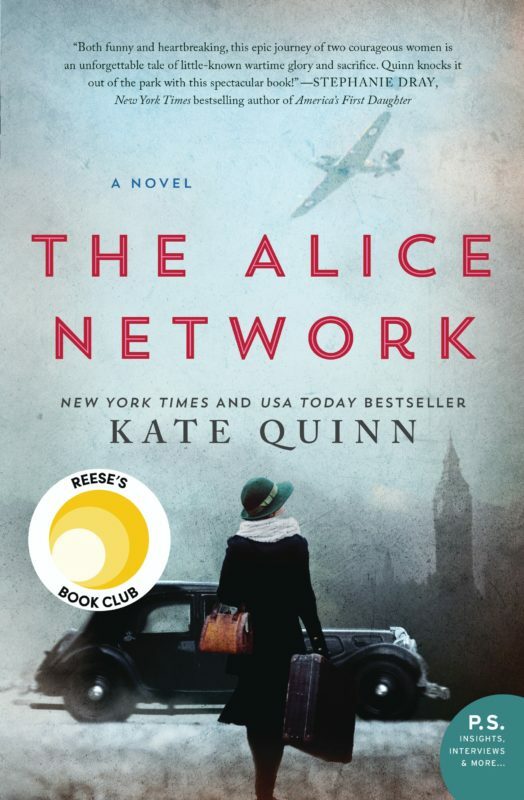 Baudelaire’s poetry runs through The Alice Network since my French villain is always quoting from the Fleurs du Mal–this seemed like a wine he would drink. 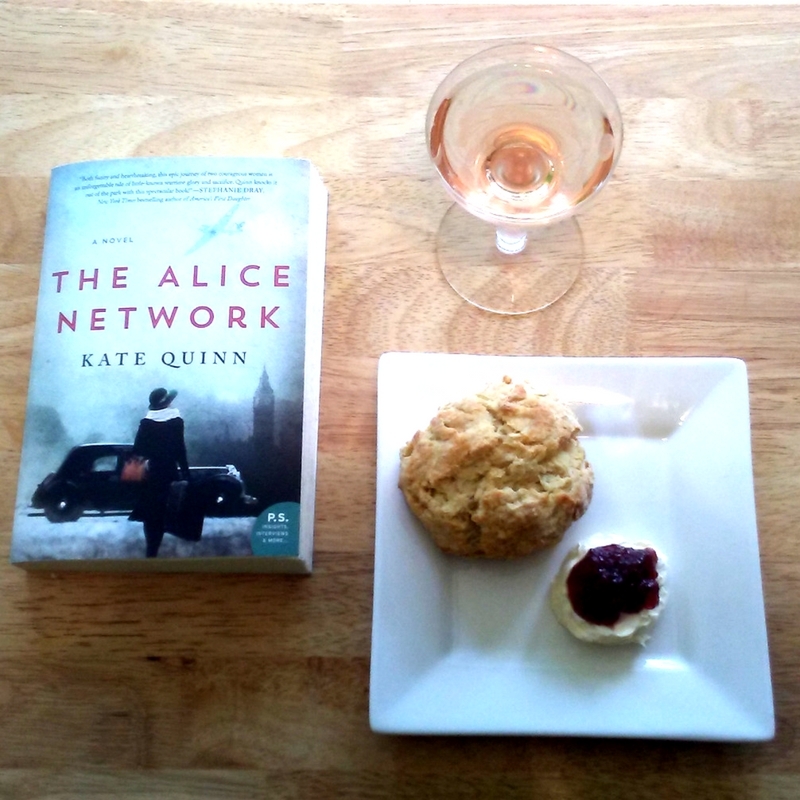 So if you haven’t had a chance yet, pour a nice glass of wine to go with your plate of warm biscuits, and treat yourself to The Alice Network (available on Amazon, iTunes, Barnes & Noble, and Kobo)! 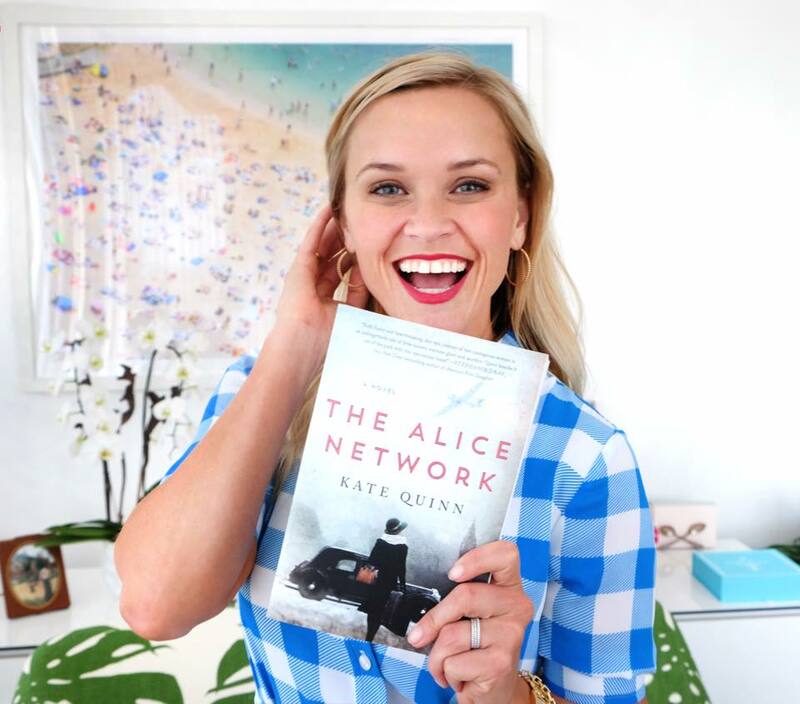 It’s the July pick for the Reese Witherspoon book club…and this Friday I’ll be doing a Facebook Live event from the studio in LA! So be sure to tune in here at noon Pacific Time (3pm eastern) this Friday and send in your questions if you have any!